You'll want to use a sheet pan that has sides or a casserole dish. 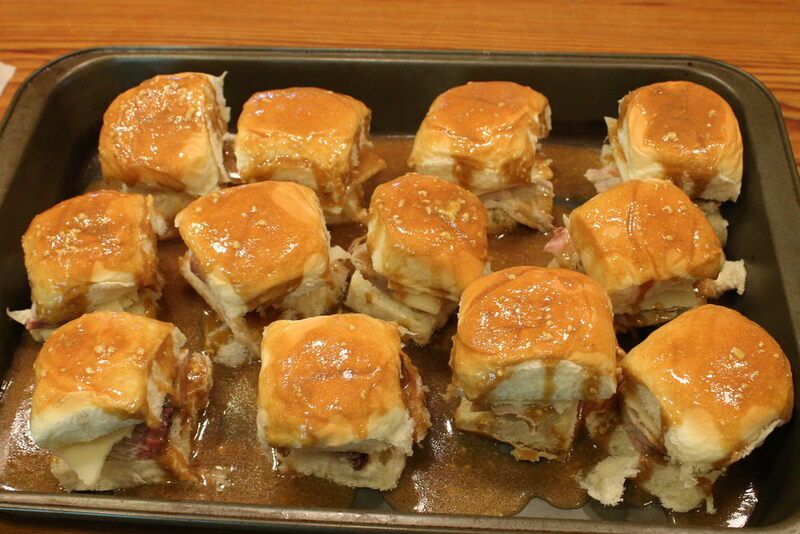 Slice each of the rolls in half horizontally and line the pan with the bottom halves. Put some pork on each piece, then a pieces of the cheese, then the top of the bun. 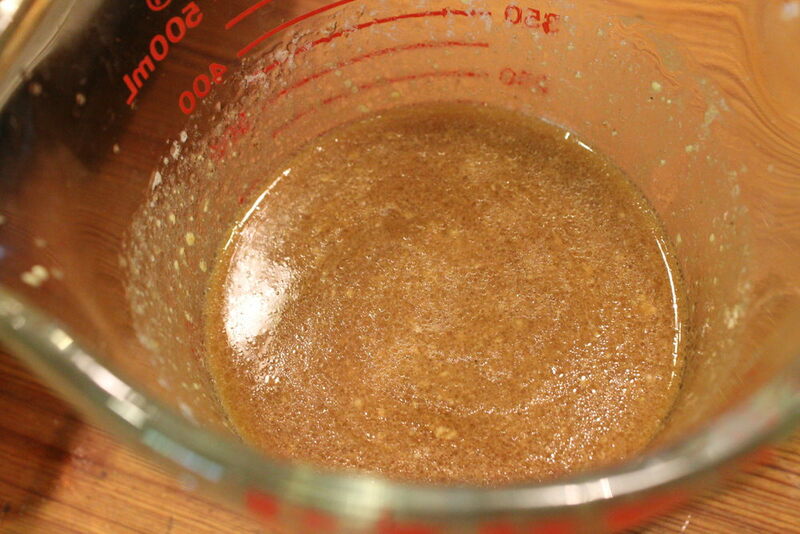 In a pourable container, mix the melted butter, dijon, worcestershire, brown sugar, and onion powder, blending well. 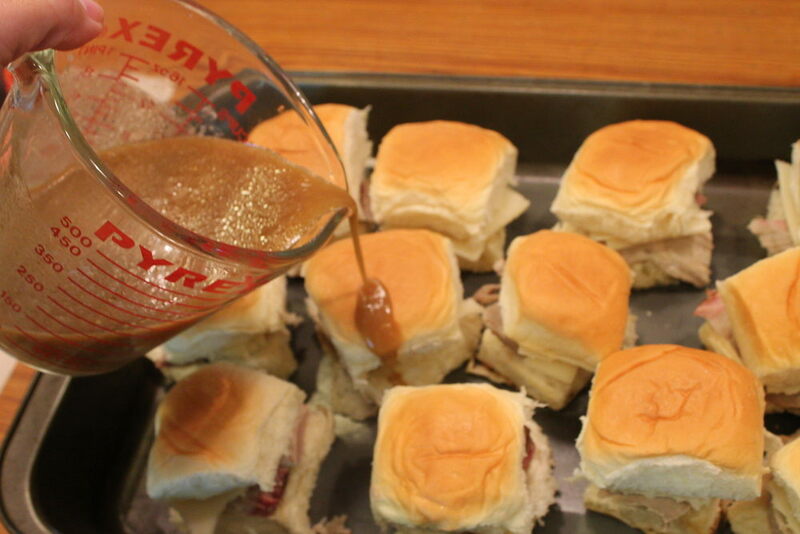 Pour the liquid over the top of each sandwich, using all the liquid. Cover the sandwiches and refrigerate for at least 4 hours. When you're ready to bake the sandwiches, preheat the oven to 350 degrees. 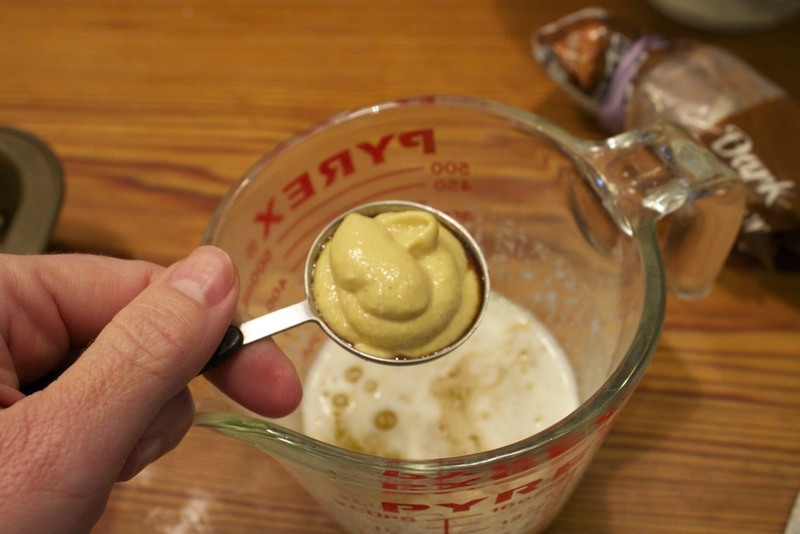 Remove the wrap and bake for 15-20 minutes, uncovered, or until the cheese is melted and the tops are starting to brown. Serve warm. Posted in In The Kitchen, Entertaining and tagged with smoked pork, hawaiian, sandwiches, appetizers. April 30, 2013 by Lynn Adams.